saddles for toy horses, wagon wheels 2 sizes, sleigh runners, carriage wheels 2 sizes, covered wagon kit, 3 carriage bodies, 3 wagon boxes, 2 wagon seats one with springs and backrest, other misc parts and documents. 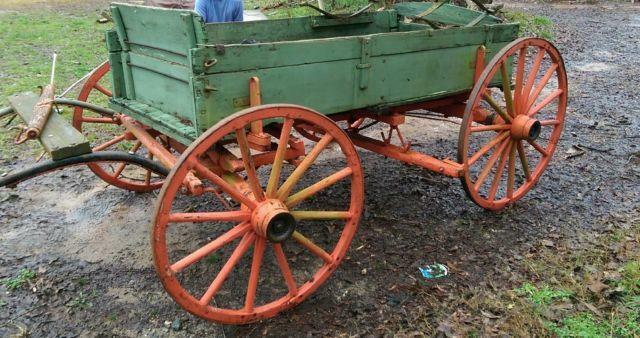 5th wheel high wagon, tounge, nice paint, new bearings in the wheels. ready for parade or hook your horses for a show.